Save the Date for our WOW!NOW Breakfast honoring Pillpack. Also celebrating Rob Dickey, Executive Vice President, Leggat McCall Properties, dedicated Citizen Schools Board Member & Champion. Join us for our annual chili cook-off to support Citizen Schools Massachusetts! On Monday, February 25th, help Citizen Schools 8th grade students practice their interview skills at the Young Achievers Science and Math Pilot School in Mattapan, MA. Our capstone program for 8th grade students, Eighth Grade Academy (8GA) is a bridge between middle school and high school. During the months of January and February, students focus on career exploration and developing their professional communication skills. Exercises in email communication, networking, and giving a personal pitch are all components of the curriculum. Interview Day gives students the opportunity to experience what it is like to have a school or job related interview and gives them early exposure to things like resumes and cover letters. What is 8th Grade Academy? Attend a 30-minute orientation built into the volunteer time frames listed below. Conduct a mock interview with students using questions provided by Citizen Schools. Complete a brief rubric on each student they interview. Massachusetts: East Somerville Community School WOW! For the past ten weeks, our students have been learning from volunteer Citizen Teachers to code, build robots, complete science experiments and more. At the WOW! Gallery, students will teach back to you all they've discovered this semester. Afterwards, you'll have the opportunity to mingle with these future programmers and engineers, leaders and innovators over a pizza dinner. The evening will conclude with announcements and awards. Gather your friends, family colleagues and join us to sweat it out for Citizen Schools at our first-even spin event in Boston! Join us for a night of cocktails, appetizers, and networking while supporting Citizen Schools! Meet some amazing Citizen Teachers and community leaders, learn more about the incredible impact of Citizen Schools and find out about all the ways you (and your company) can get involved. There will be a raffle with some fantastic prizes - tickets will be sold on-site the night of the event. Citizen Schools and our Citizen Teacher volunteers have transformed classrooms at Collins Middle School into video production spaces, marketing firms courtrooms, financial investment offices, laboratories and so much more! You will learn from middle school students at Collins! They'll teach you what they have mastered during their Citizen Schools elective and you will be WOW! with what they have learned. Parking can be found around Collins Middle School and specifically in the large lot next to Bertram Field, off Powder House Lane. Please enter through the school’s main entrance, off Powder House Lane, on the opposite side of the building from Highland Avenue. The event will take place in the cafeteria & the 2nd Floor. 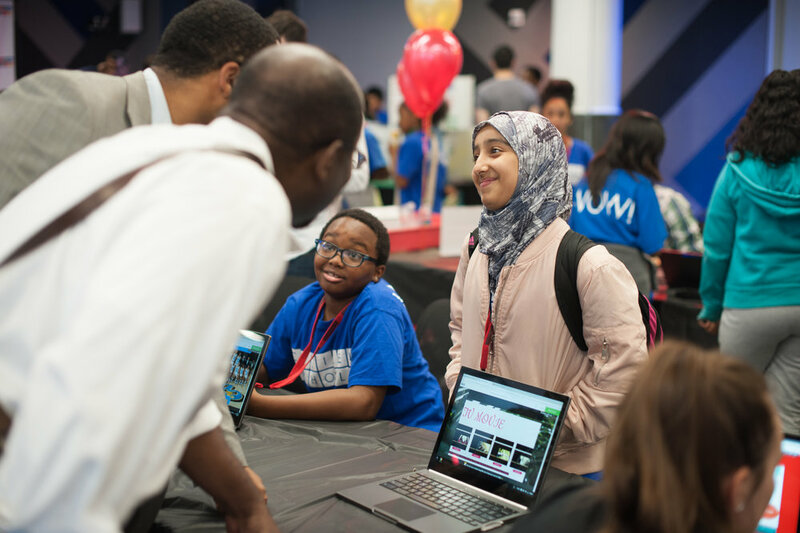 Citizen Schools and Citizen Teacher volunteers have transformed classrooms and students in Boston into scientists, web-designers, community advocates, financial advisers, writers, inventors, and so much more. You will learn from our students about the many topics they have mastered during their semester-long apprenticeships as they showcase their skills. You will be the students, and they will be your teachers when they WOW! you with what they've learned. We hope you will join us! Join us at Moakley Courthouse! Since February, Citizen Schools & Discovering Justice have partnered with law firms across Boston to transform conference rooms & courtrooms into classrooms where volunteer attorneys teach middle school students the ins and outs of the law, as they prepare for their trials. On May 24th, students will put their learning to the test as they present their cases in front of a real judge, family members, and civic leaders. Additional Details & Getting There: Please bring a photo ID to pass through security. You will have to “check” technology at the security desk. Take the Silver Line 1 or 2 to Courthouse Station or pay for parking at one of the parking lots located on Northern Ave in front of the courthouse. All-day parking is generally around $14. Come join us at our biannual WOW! Bowl. Watch as students come together to compete against rival schools in soccer, flag football, and rugby! Students have been training all semester for this event to showcase their skills and win the highly coveted Championship Award! Chelsea High School is accessible on the MBTA. Street Parking is available on Everett Ave and a parking lot is available on Carter Street near the school. 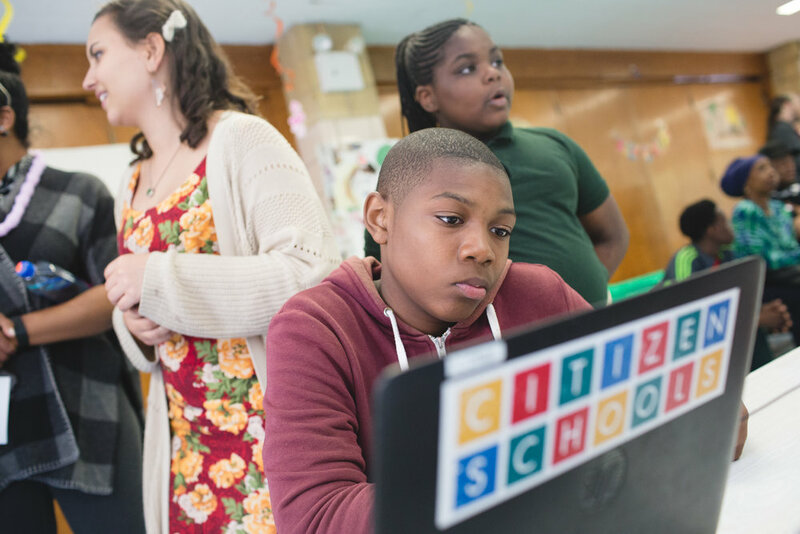 In our fourth year in Chelsea, Citizen Schools and Citizen Teacher volunteers have transformed classrooms and students at the Browne Middle School and Wright Middle School into scientists, web-designers, community advocates, financial advisers, writers, inventors and so much more. You will learn from our students about the many topics they have mastered during their semester-long apprenticeships as they showcase their skills. You will be the students, and they will be your teachers when they WOW! you with what they've learned! We hope you will join us! Getting There: Parking can be found around the school. Pay close attention to the street signs. Please enter through the school’s main entrance, off Arlington Street. Join us to celebrate TripAdvisor for being a leader in addressing some of our world’s most critical humanitarian issues - and for partnering with Citizen Schools to inspire global citizens in our local community. 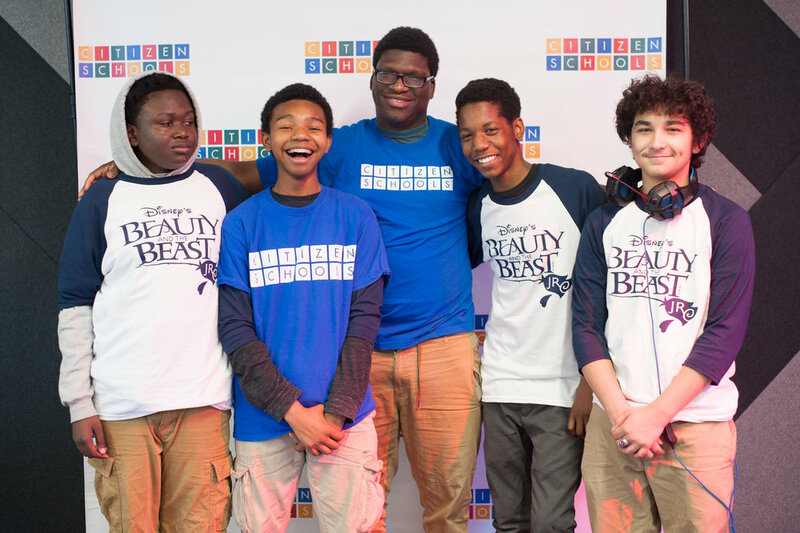 Come network with Citizen Schools Eighth Grade Academy students and alumni to support our young people in reaching their college and career goals.